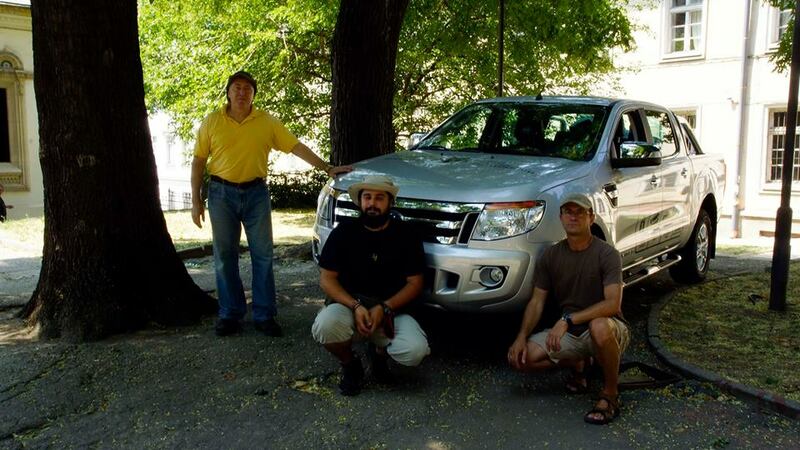 On 15 August zoological expedition of the National Museum of Natural History, BAS composed by Prof. Nikolai Spassov, Assen Ignatov and Ilya Acosta went to Northern Anatolia (Turkey), where they will be joined by two zoologists from the Karadeniz University in Trabzon. The aim of the expedition is to study rare predators in sparsely populated mountainous area between the east coast of Asia Minor near the border with Georgia and the priority is the search for the dhole. In 1993, on organised in Sofia international session of the Bern Convention on the Conservation of European wildlife and natural habitats, two Turkish zoologists submitted a report on the existence of the dhole near Trabzon and Rize (Turkey). This report made no special impression on most of the participants in the meeting, representing a diverse group of experts. However, it attracted the attention of a specialist on carnivorous mammals of the National Museum of Natural History Nikolai Spassov, currently director of NMNHS. For him, the attached to the report skull and skin certainly belong to the dhole. Local people of the province of Trabzon know the species, but consider it a separate species of jackal or wolf. Officially known habitat of this rare predator stretches of 3—4 thousand km east. The NMNHS-BAS group of experts has collected data giving rise to claim that it has always lived in most northeastern parts of our eastern neighbour. 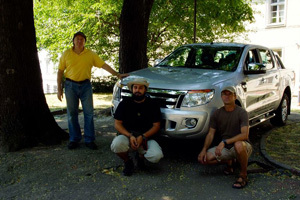 This provides a reasonable ground of Prof. Dr Nikolai Spassov to organise this expedition. It will last about 20 days and is equipped with the necessary modern equipment for tracking and identifying wildlife. This time of year is favorable for work in the humid conditions of Colchis. This is the period when the family packs of dhole should be formed, which makes the possibility of finding traces of life activity very likely. The expedition is sponsored by UBB and supported by Moto-Pfohe and with the special assistance of the Embassy of Bulgaria in Ankara. The dhole (Cuon alpinus) is one of the heroes of the famous 'Jungle Book' of the great writer Rudyard Kipling. In this book, dholes were described as 'terrible wild dogs', but the black glory of the dhole as bloodthirsty and numerous predator, ready to break even tiger is already long gone. It is known that this beautiful predator occured from India east to Indonesia and north to the Amur region. This extensive range ever today has shrunk to no more than 25% of its territory. Its numbers fell dozens of times and is estimated at around 2500 animals throughout the area. It is included as an endangered mammal in the World Red Data Book. Against this gloomy data, message that the predator has always lived without being known to the official science of thousands of miles more west seems astonishing. But this fact has its explanation: the fossil remains of the dhole are found in Late Pleistocene deposits of the Caucasus and perhaps Colchis population in Turkey is a remnant of those times, living a hidden life in the wild and sparsely populated deaf corners between Georgia and the Turkish Black Sea coast. More about the life of the species can be seen in the documentary WildLife Sanctuary - Indian wild dogs (Dhole) Full Documentary.